This client loves high contrast! She found an inspiration piece in black and white that we translated into a high-gloss black and blue to be a bold, modern accent piece in her home office. 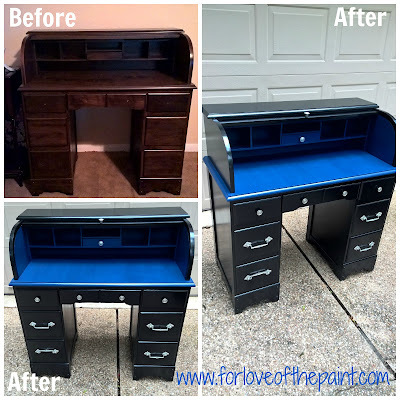 The blue inset is Annie Sloan Chalk Paint in Napoleonic Blue, and we used a gloss polycrylic to give her tons of the beautiful shine she wanted! 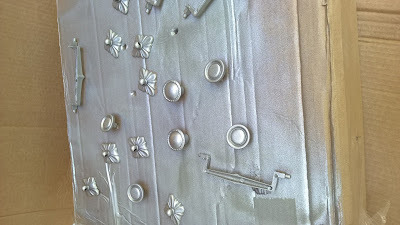 The hardware was spray painted with Rustoleum in a nickel color for a gorgeous accent. 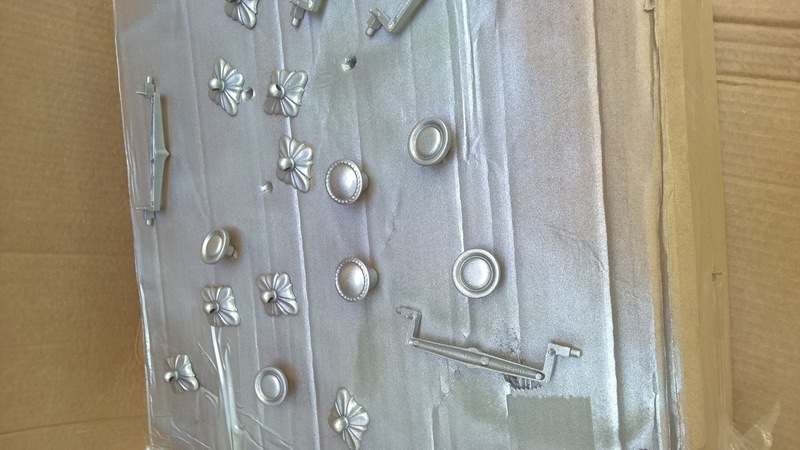 To spray paint the hardware, I poked holes through a cardboard box to stand the drawer pulls upright. This allowed me to get even coats all the way around the knobs! The handles were sprayed first upside down, then right side up for a few light passes so that the color is on all sides and angles. I love how sleek and chic it turned out! It is always such an honor to collaborate with clients to bring their visions to life :) . They always have such creative ideas!